This article provides in-depth fundamental analysis of NOCIL Ltd, an Indian manufacturer of rubber chemicals including accelerants and antioxidants with brands like PILFLEX® Antidegradants, PILNOX® Antioxidants, PILCURE® Accelerators, Post Vulcanization Stabilizer and PILGARD® Pre Vulcanization Inhibitor. 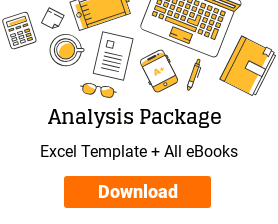 I have analysed NOCIL Ltd based on the knowledge I have gained from your website. The report is attached with this mail. When you find the time, could please go through it and if you can share your expert feedback. I would be happy if you can publish it in your blog. NOCIL’s involvement in the Rubber chemicals business spans over 4 decades. NOCIL is one of the few players in this business to offer a wide range of rubber chemicals to suit the customer needs. Due to its rich experience and offering a one-stop shop to customers, NOCIL is today acknowledged as a dependable supplier of rubber chemicals. Globally company is recognized for technical capabilities and on this aspect alone, NOCIL enjoys an edge over other players in this business. Rubber Chemicals are speciality organic chemicals and the manufacturing process involves complex chemical reactions and associated unit operations. National and International tyre industry being the main consumer of these products; quality, product consistency and product form are the essential features of these products. Being performance chemicals, approval from customer involves actual performance trial of their finished product and hence NOCIL’s continuously updated manufacturing technology ensures the performance of products in application areas. Rubber Chemicals are used by manufacturers who process and convert Natural Rubber and/or Synthetic Rubber into finished products, like Tyres, Hoses, Footwear, Moulded Components for vehicles, Industrial Belts, Gloves, etc. NOCIL has state of the art manufacturing facility at Navi Mumbai and Dahej to deliver quality products to the customer. The company has been growing its revenue at a moderate rate from last 10 years. Profit margins are fluctuating a lot over the year. OPM is fluctuating between 4% – 21% in last decade, it’s improved from 11% in 2014 to 21% in 2017. Similarly, NPM is also fluctuating widely but it’s improved from 4% in 2014 to 16% in 2017. These fluctuating profit margins indicate that company don’t have pricing power with the customers and they will not be able to pass on the increase in the raw materials cost to customers easily and take advantage of decreasing raw materials cost. The demand for rubber chemicals is directly linked to the overall Rubber consumption (Natural & Synthetic Rubber) which in turn is linked to the level of economic activity. The single largest rubber-based industry viz. the tyre industry, is directly dependent on the transportation & Automotive Sector. Performance of the Rubber Chemicals industry is, therefore, largely dependent on the performance of the Tyre and automobile industry. This is the reason for fluctuating profit margins. The standard corporate tax rate is 30-35%. Except for the years 2012 and 2013 company’s rate is between 30-35% i.e. company is paying the tax regularly. Net fixed asset turnover was improved from 3.8 in 2009 to 6.28 in 2012. But declined to 1.98 in 2014. This was because of the capex done in 2012/13. It usually takes a couple of years for the company when capex starts contributing. From 2015 onwards NFAT has started improving from 2.42 and currently in 2017 it stands at 2.57. We need to keep watch on NFAT going forward. Receivable days have been deteriorating over the years. Receivable days increased from 64 days in 2009 to 78 days in 2017. Increasing receivable days means the company is not able to collect cash from the customers in time. Inventory turnover ratio has deteriorated from 6.46 in 2009 to 6.02 in 2017. Need to keep a close watch on ITR going forward. Overall, NFAT and ITR are currently improving which is a good sign and we need to keep a close watch on deteriorating receivable days. cCFO (463 Cr) > cPAT (469 Cr) which means net profit has been almost converted to cash if we look at cumulative PAT and CFO for last 10 years. Good sign. Deteriorating receivable days might be the reason company could not convert entire profits into cash completely. Except for 2 years, Cash Flow from Operations is positive in last 10 year and the company is generated enough free cash flow. cCFO (10 years) is 463 Cr. From 463 Cr, the total amount spent on Capex is 216 Cr in 10 years and Free Cash Flow generated is around 247 Cr in 10 years. And most importantly company has given 101 Cr of dividend to shareholders. Also, the company still has 181 Cr worth in the form cash/cash equivalents. The company is currently debt free. Interest coverage ratio is 64.5. Last 3 years average ROE & ROCE stands at 18%. 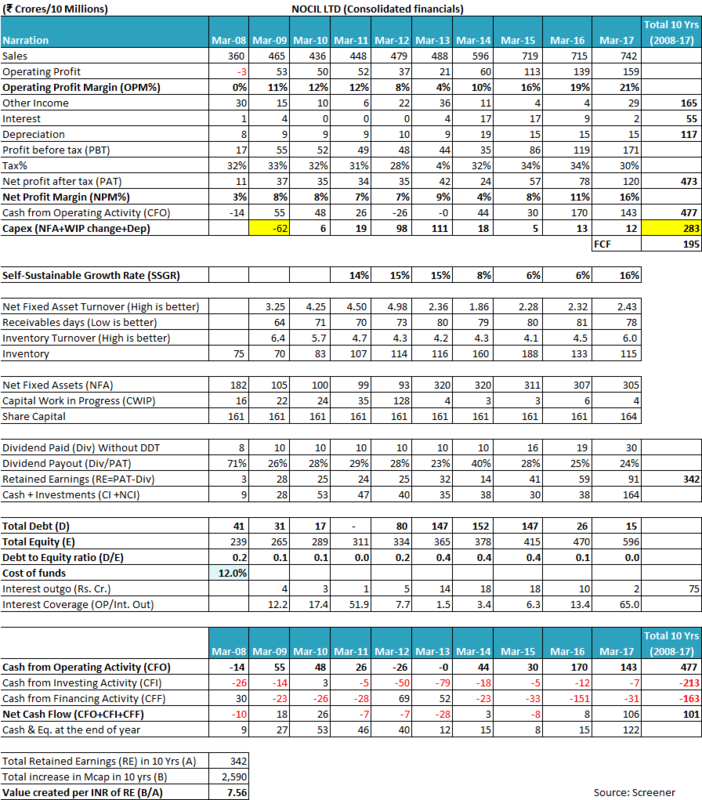 Based on the analysis of PE, EY and PEG ratio, company doesn’t have enough margin of safety. The continued weakness in the price of Crude Oil and certain Petrochemical building blocks will have a favourable impact on the Company’s Raw Material costs. However, these reductions in costs may be accompanied by reductions in selling prices of finished goods. In line with the long-term approach to business, the company should adjust its selling prices to regular customers to reflect these reductions in costs as also to maintain the business share at these accounts, in line with the prevailing stiff competition. The major threat for the company is continued and aggressive dumping of Rubber Chemicals at unrealistically low prices by producers, mainly from China, Korea and the European Union. If there is a poor domestic demand in China due to the slow-down in that country and the absence of growth in the EU Region may create a situation, where rubber chemicals pricing may witness reductions. In case of products, where competition is acute from China/Korea/EU and pricing unattractive, your company continues to maintain a Ltd presence in certain select key accounts, keeping long-term goals and strategy in mind, as well as to ensure better utilization of our own capacity. Recently, China is constrained by stricter environmental and pollution control enforcement by the authorities there, which created a certain tightness in the supply of products in the marketplace. Owing to this, Company could participate more aggressively in certain international key accounts on a relatively better level playing field. As per my understanding, NOCIL doesn’t have any comparable peers listed which are into Rubber Chemicals. So, I am not doing any peer comparison. As discussed earlier, most of the Profit has been converted to cash when we compare cPAT vs. cCFO for the last 10 years. As we can see below, the company has created Rs 6.43 worth of value per INR of retained earnings. The company seems to have good management. Google search didn’t give any results pointing to any irregularities done by the promoters. As you can see from above chart, promoters & other directors are taking salary well below Ceiling as defined by the law which says management is not greedy. A good sign. As we can see from above chart, the company has spent all the prescribed amount under CSR. A good sign. Thanks for sharing the analysis of NOCIL Ltd with us! 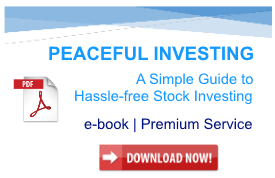 It is helpful for the all the investors. Let us first try to analyse the financial performance of NOCIL Ltd over last 10 years. We believe that while analysing any company, an investor should always look at the company as a whole and focus on financials which represent the business picture of the entire group including operations and assets. NOCIL Ltd has a wholly owned subsidiary (100% ownership), PIL Chemicals Ltd. Therefore, while analysing NOCIL Ltd, we have analysed the consolidated financials of the company for FY2008-17. NOCIL Ltd has been growing its sales since last 10 years (FY2008-17) at a rate of about 8-9% year on year from ₹360 cr. in FY2008 to ₹742 cr. in FY2017. However, the sales growth achieved by NOCIL Ltd has been associated with fluctuating operating profit margins (OPM). OPM increased from operating losses in FY2008 to 12% in FY2010 and then declined to 4% in FY2013 and has now again increased to 21% in FY2017. These fluctuations in the operating profit margin indicate that NOCIL Ltd has very low bargaining power over its customers and as a result, it is not able to pass on the changes in the raw material costs to its end customers on a timely basis. Such situation is usually faced by companies, which operate in products, which are a commodity in nature and therefore, there is a large number of suppliers who compete for the same set of customers. As a result, the customers have many alternatives vendors/suppliers to source the product and in turn, any supplier on her own is not able to increase the price of the product when raw material prices go up. An investor can easily conclude that most of the imports of rubber chemicals in Indian markets would be sourced from China & Korea. When analysing the past annual reports, management communications of NOCIL Ltd, an investor gets to know that the company has been facing very tough competition and business environment on account of dumping (pricing below the cost of production) of rubber chemicals by suppliers in China & Korea. Such low priced imports have taken the pricing power completely out of the hands of NOCIL Ltd. The continuous efforts of the company and other rubber chemical suppliers in India have resulted in the imposition of anti-dumping duty on import of rubber chemicals from China. The imposition of the anti-dumping duty is also one of the reasons for improvement of operating margins of NOCIL Ltd in recent times. As mentioned in the discussion above, the anti-dumping duties are applicable only until July 2019. In case, the Govt. of India decides to remove anti-dumping duty post July 2019, the imports of rubber chemicals will become further cheaper and as a result, NOCIL Ltd will also have to reduce its prices and in turn, the OPM will decline. Therefore, an investor would appreciate that the business of NOCIL Ltd is under continued threat from the suppliers present in locations like China & Korea. Therefore, investors should keep this in mind that the improvement in the operating profit margins of the company in the recent year, maybe a temporary phase, which might witness a reversal the moment crude oil prices start rising in future or Govt. of India decides to remove anti-dumping duty on rubber chemicals of the overseas govt. increase the export benefits to their suppliers, which might allow them to further reduce the prices of their supplies to India. Therefore, it is advised that an investor should be cautious while taking the comfort of the recent improvement in the operating profit margins of NOCIL Ltd and should keep a close watch on the related developments like the trend of crude oil prices, low priced imports etc. to monitor the operating profit margins going ahead. The net profit margin (NPM) of NOCIL Ltd has been broadly following the trend of the operating profit margin (OPM). NPM increased from 3% in FY2008 to 9% in FY2013 only to decline to 4% in FY2014 and it has since improved to 16% in FY2017. In a few years, the Net profits have shown varied performance than operating profits due to high other income, which has been constituting export incentives, interest on income tax refunds, reversal of provisions of diminution in investment values done earlier etc. However, over the years, the NPM has also been fluctuating in line with the competitive business environment faced by NOCIL Ltd. The tax payout ratio of NOCIL Ltd, over the years, had been around the standard corporate tax rate prevalent in India except in FY2013, when it used a lot of its MAT credits and as a result, the tax payout ratio turned out to be 4%. While assessing the net fixed asset turnover (NFAT) for NOCIL Ltd, an investor would notice that the NFAT of the company used to be at very high levels of 4 and above until FY2012 (4.98 in FY2012). The NFAT declined to 1.86 in FY2014 and has since improved to 2.43 in FY2017. It is reasonable to ascertain that the NFAT would decline in the initial phases of commissioning any new plant because the utilization of the plant to optimal levels would take some time when the NFAT would gradually improve, as in the case of NOCIL Ltd. In the above discussion, an investor would notice that the management expects that the new capex will provide an asset turnover (NFAT) of about 2, which indicates that the new capacities created by the investment of ₹170 cr. are expected to lead to additional revenue of about ₹340 cr. (170*2). When assessing the incremental revenue addition derived by NOCIL Ltd by creating the new plant at Dahej, an investor can derive a few insights. 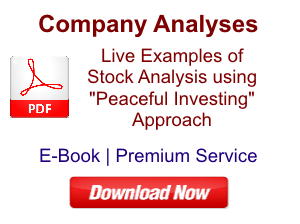 The following illustration would help the investor appraise it. In FY2012, when only the Navi Mumbai plant was functional then the revenue of NOCIL Ltd was ₹479 cr., which apparently was contributed by only the Navi Mumbai plant running at optimal capacity. From FY2013 onwards, the new plant at Dahej constructed from in-house capacity was commissioned at a cost of about ₹250 cr. and it started contributing to the revenue. Therefore, an investor can conclude that the revenue of ₹742 cr. in FY2017 is the result of optimal capacity utilization of both the plants at Navi Mumbai and Dahej. In turn, it can be interpreted that on a rough basis ₹263 cr. 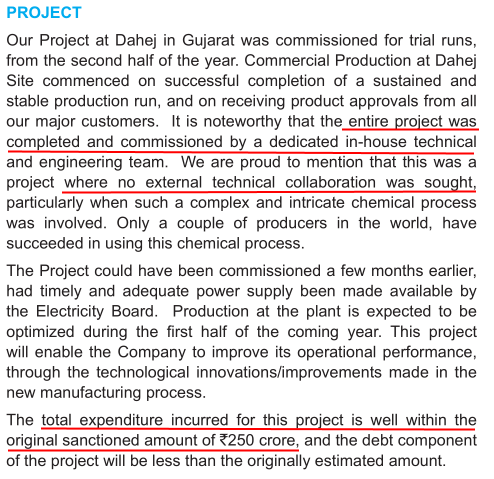 can be the revenue addition due to the operationalization of Dahej plant (₹742 cr. sales in FY2017 – ₹479 cr. sales in FY2012). As per the above calculation, the investment of about ₹250 cr. in Dahej plant, upon optimal utilization, has contributed to an incremental revenue of only ₹263 cr, which is an asset turnover of about 1, which is less than the earlier asset turnover of >4 for Navi Mumbai plant and the asset turnover of 2 expected from recently announced new capex of ₹170 cr. or one of the reasons can be that the in-house technology deployed by NOCIL Ltd is not as efficient as the earlier technology/foreign technology and as a result, the investment done by NOCIL Ltd in Dahej has led to a lower contribution to the sales revenue. An investor would also appreciate that the net profit margin of the company has increased very fast over the stated duration of FY2013-FY2017 (during which Dahej plant has been operational), from 7% (FY2012) to 16% cr. (FY2017) resulting in the net profits increasing from ₹35 cr. (FY2012) to ₹120 cr. (FY2017). However, it cannot be directly ascertained how much of this impact is due to the benefit of the cyclical decline of commodity prices, the impact of anti-dumping duty or the benefit of intermediaries produced by the Dahej plant. As the incremental asset turnover of about 1, as calculated above, is very low when compared to the previously prevalent asset turnover of >4 or the expected asset turnover on future investments of 2, therefore, it becomes essential to assess the reasons for seemingly lower asset turnover of Dahej plant and whether it is due to the inefficiency of in-house technology. An investor would appreciate that the seemingly lower increase in revenue upon optimal utilization of Dahej plant can be because of any combination of the above-stated factors (production of intermediary products contributing to higher NPM, spare land or inefficiency of in-house technology) or it might be because of any other factor not listed above. 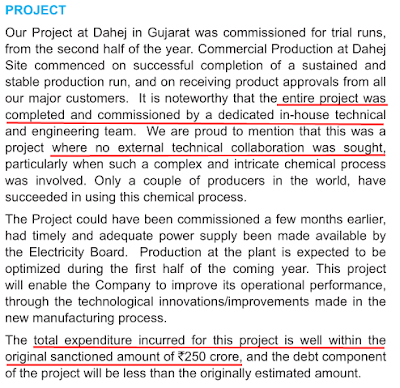 Therefore, we believe that an investor should delve further in the assessment of Dahej plant investment by NOCIL Ltd by seeking clarification from the company or from informal industry sources while simultaneously keeping her mind open to various possibilities. Looking at the inventory turnover ratio (ITR) of NOCIL Ltd, an investor would notice that ITR of the company had been declining over the years FY2009-FY2015 from 6.4 to 4.1. The declining ITR might be a result of increasing raw material costs over these years, which might have led to purchase of expensive inventory to manufacture the rubber chemicals. An investor would notice that from FY2009 to FY2015, the inventory levels have increased faster than the sales growth. From FY2008 to FY2015, the sales of NOCIL Ltd have increased about 2.00 times from ₹360 cr. in FY2008 to ₹719 cr. in FY2015, whereas over the same period, the inventory level has increased by 2.51 times from ₹75 cr. in FY2008 to ₹188 cr. in FY2015 indicating comparatively more money getting stuck in inventory than what would be expected in a steady state of raw material prices. The ITR has increased from 4.1 in FY2015 to 6.0 in FY2017, which might be due to the decline in raw material costs (aligned to crude oil prices). As a result, despite an increase in the sales turnover from ₹719 cr in FY2015 to ₹742 cr. in FY2017, the inventory levels have declined from ₹188 cr. in FY2015 to ₹115 cr. in FY2017. When an investor analyses the receivables days of NOCIL Ltd, then the investor would notice that the receivables days of the company have been deteriorating from 64 days in FY2009 to 80 days in FY2013 and have been consistently around these levels since FY2013 to FY2017. The deterioration in the initial period seems to be associated with the economic slowdown of FY2008-11, in which all the end customers industries of NOCIL Ltd e.g. tyres/automobiles were impacted and as a result, the customers might have started making delays in payments. The situation might have been further complicated by the intense competition from dumping done by overseas suppliers later when NOCIL Ltd might have had to give higher credit period to retain customers. However, the stagnation of receivables days at higher levels since last 5 years indicates that the business position of NOCIL Ltd has not improved over the years and it is still exposed to the risk of getting replaced as a vendor, perhaps, which is not allowing it to make its collection practices stringent. The above discussion about the overseas suppliers reducing their prices further to nullify the impact of anti-dumping duty probably relevant to understand the extent of intense business competition being faced by NOCIL Ltd. However, despite the fluctuations in inventory and receivables position, it seems that over the years, NOCIL Ltd has been able to convert reported a profit after tax (PAT) into cash flow from operations (CFO). As a result, the company has reported a cumulative cash flow from operations (cCFO) of ₹477 cr over last 10 years (FY2008-17) against cumulative net profit after tax (cPAT) of ₹473 cr. The investor would notice that NOCIL Ltd has witnessed an SSGR ranging from 10-15% over the years. An investor would appreciate that the SSGR of NOCIL Ltd is about 10-15% whereas it has been growing at a rate about 8-9% over the years. As a result, the investor would appreciate that the company has been able to fund its growth while keeping the debt levels under check. NOCIL Ltd has been able to increase its sales from ₹360 cr. in FY2008 to ₹742 cr. in FY2017 by doing a capex of ₹283 cr. while its debt levels decreased by ₹26 cr. from ₹41 cr. in FY2008 to ₹15 cr. in FY2017. If an investor analyses the total cumulative financial performance of NOCIL Ltd over last 10 years (FY2008-17), then she would notice that the company had met the entire capex of ₹283 cr. from its cumulative CFO of ₹477 cr. during the same period. As a result, after meeting entire capex, NOCIL Ltd had a free cash flow (FCF) of ₹195 cr. NOCIL Ltd seems to have used the FCF (₹195 cr.) along with the non-operating income of ₹165 cr. (Total ₹360 cr. = 195+165) to meet the interest expense (₹55 cr. ), pay dividends (₹131 cr.) and the balance is available with the company as cash & investments (both current and non-current) of ₹164 cr. NOCIL Ltd has been able to manage its cash flow position efficiently despite operating in a very intense competitive environment. It has been effectively able to fund its entire operations, capital requirements etc. from its internal cash generation and has generated a significant amount of cash position, which it can use for meeting the funding requirements for its proposed new capex plans of ₹170 cr. It seems that the markets have also appreciated that NOCIL Ltd has been able to keep a strong cash flow position along the growth path and as a result, its market capitalization has increased by about ₹2,590 cr. over last 10 years against the retained earnings of about ₹342 cr. over last 10 years. It amounts to the creation of a wealth of about ₹7.5 for each ₹1 of earnings retained by the company. 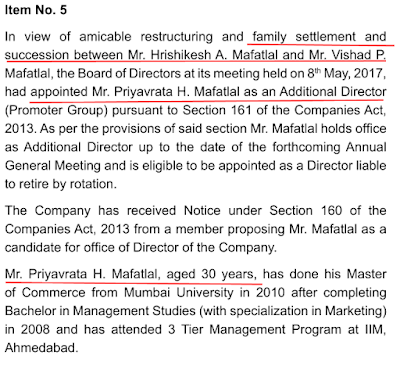 As per the above restructuring, NOCIL Ltd seems to have become a part of the business of Mr. Hrishikesh A. Mafatlal and as a result, Mr. H. A. Mafatlal has brought in his son, Mr. Priyavrata H. Mafatlal as a director on the board of the company. The presence of Mr. Priyavrata H. Mafatlal (age 30 years) as a part of the board of the company provide sufficient opportunity for grooming to take forward the leadership of the company. However, despite the delays, the company could complete the project within the estimated project cost. The ability to complete a delayed project within the earlier cost estimates indicates good project execution skills on part of the management. An investor would appreciate that many times, we notice that delayed project witness significant cost overruns. As per the management, this long & expensive testing process acts as a significant barrier for new entrants in the business. However, from the above discussion about the intense competition in the existing suppliers across the globe, which has led to dumping of products below cost price, we believe that the benefit of high entry barrier is no longer a strength of the industry as the existing players are giving sufficient enough competition to each other to remove any sort of pricing power in the hands of rubber chemical producers. SEBI made it mandatory for the promoters of listed companies to disclose the pledge level of their shareholding on January 22, 2009 (click here). The key reason behind this change by SEBI was the risk being faced by the company and other shareholders when promoters pledge their shareholding to take personal loans without disclosing. This increases the risk for other investors as the promoters’ “skin in the game” reduces and simultaneously, the chances of takeovers increase. The key trigger for the regulation seems to be the fact promoter of Satyam, B Ramalinga Raju, had pledged all his shareholding with lenders to take loans. Accordingly, all the listed companies including NOCIL Ltd started disclosing the data on share pledging by promoters from March 31, 2009, onwards. NOCIL Ltd disclosed that on March 31, 2009, 50% of its promoters’ shareholding was pledged with lenders. An investor would notice that the promoters of NOCIL Ltd have been continuously keeping a significant part of their shareholding pledged with lenders to raise funds in their personal capacity. As mentioned above, the pledge of shareholding by promoters increases the investment risk of minority shareholders. 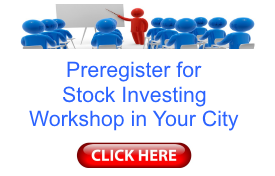 Therefore, we believe that an investor should keep a close watch on the pledging levels of shareholding by promoters. While analysing the financials of NOCIL Ltd for last 10 years (FY2008-17), an investor would notice that the net fixed assets (NFA) of the company have declined from ₹182 cr. in FY2008 to ₹105 cr. in FY2009. This decline in net fixed assets gets highlighted in the calculation of capex data, which indicates negative capex of ₹62 cr. during FY2009. Upon, further analysis and reading the annual report of FY2009, an investor gets to know that NOCIL Ltd has revalued its assets upwards by ₹101 cr. on March 31, 2006, by arriving at a conclusion that the assets have improved in value and therefore, these assets deserve a higher value in the balance sheet. Due to non-availability of the annual report for FY2006, we are not able to ascertain, which assets were revalued upwards by the company. Revaluing the assets upwards increases the equity portion of the balance sheet as it adds “revaluation reserves” in the reserves & surplus equal to the amount of increase in asset values. The higher equity section after revaluation would show a lower debt to equity ratio (D/E ratio) in case the company raises debt. An investor would notice that the company was planning to go for capex of Dahej plant during FY2007-08. It might have thought to fund it by taking debt at that time as well because when the company finally executed this plant a few years later, then the debt level of the company increased significantly. An investor should note that even though lenders remove the revaluation reserves while assessing D/E ratio for their analysis, however, most of the times, the equity investors/analysts end up looking at D/E including revaluation reserves. A reversal of revaluation decision removes the revaluation reserves from “reserves & surplus” section of the shareholders’ equity section of the balance sheet and in turn reduces the equity base of the company. The lower equity base has the potential of improving all the return ratios like return on equity (ROE) or return on capital employed (ROCE) or return on assets (ROA) etc. An improvement in the return ratios is generally seen as a very positive development by equity markets. Most of the times, companies with higher return ratios are given premium valuation by the markets. Therefore, reducing the equity base might be an attempt by companies to support the share price reaction of the markets. As mentioned above, from March 2009 onwards, SEBI had made it mandatory for companies to disclose the pledge level of shareholding by promoters. Investors would note that in March 2009, the company disclosed that 50% of the shareholding of its promoters was pledged with lenders. An investor would appreciate that when promoters have taken loans by pledging their shares, then if the share price declines, then for the same amount of loan, the promoters have to pledge more shares with the lenders to maintain the security cover. On the contrary, if the share price increases, then the promoters can get some of the shares released from pledge as now less number of shares are also sufficient to meet the security cover stipulated by the lenders. Therefore, it is intuitive that when promoters have pledged their shares with lenders, then the inherent intention of the promoters is to have the share price as high as possible and reducing the equity base to showcase better return ratios (ROE, ROCE, and ROA etc.) might be one of such attempts. As per the discussion above in the article, an investor would remember that NOCIL Ltd has communicated to shareholders in FY2009 annual report that it has planned to go slow on the expansion and it stopped the work for the time being. This might have curtailed the requirement of the debt for the company and obviated the need for a higher equity base for the time being. An investor may appreciate that all the above discussion is a conjecture to explain the probable reasons for reversal of revaluation of assets by the company. Reversal of revaluation demands special attention because, in the normal course of assessment, we do not see a lot of companies, which reverse the revaluation decisions. In fact, out of more than 1,000 companies analysed by us, NOCIL Ltd is the only company that we have come across, which has undertaken the reversal of revaluation decision. Otherwise, the intent of most of the companies is to revalue their assets upwards to show higher equity base. There have been cases where companies have resorted to revaluing the assets like diesel generators on the higher level to achieve higher asset & in turn higher equity base like in the case of Indo Count Industries Ltd. 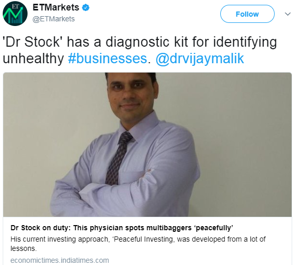 While an investor does the analysis on her own, then it might turn out that the entire logical argument shared above is flawed and the reason given by the management that the reversal of the revaluation decision after 3 years of valuing the assets on higher level, reflects appropriate and prudent presentation of fixed assets, is right. Therefore, it is advised that an investor should always do her own analysis to make any opinion about companies before taking the final investment decision while keeping her mind open to all possible explanations to the decisions of management. Therefore, it cannot be ascertained why most of these investments were done by the company and what was the reason of entire value of these investments getting eroded. 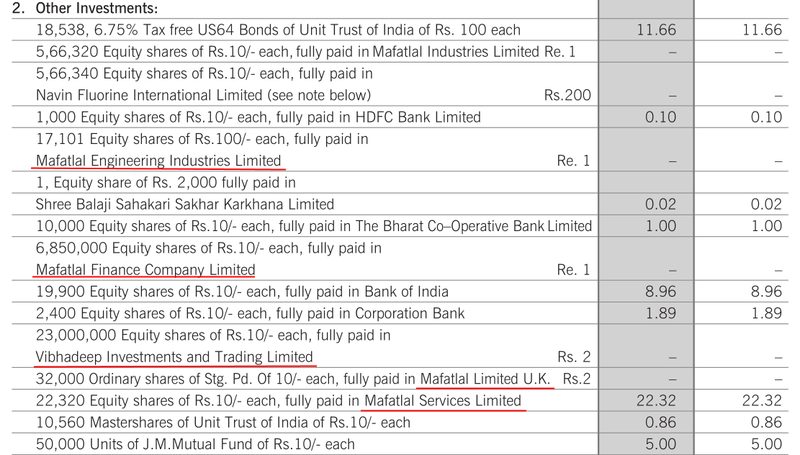 In the case of Mafatlal Services Ltd, the company has written-off its value in FY2010 (Annual report FY2010, page 92), however, the annual report does not provide any explanation about the reason for diminution of value of its investment in Mafatlal Services Ltd. Therefore, it seems that 1) the company has done some investments, which have failed to provide any value to the shareholders. Many of these investments seem to be in group companies. 2) The company needs to provide more details about the reasons for diminution of the value of these investments. An investor would appreciate that in the absence of explanations about these investments, the mere fact of first making investments in group companies and then writing them off, does not present best of the corporate governance practices of companies. While assessing the non-current investments done by NOCIL Ltd, an investor would also notice the error in the information presented by the related to Mafatlal Services Ltd in the FY2008 annual report, where it is mentioned that NOCIL Ltd holds 22,320 shares valued at ₹22.32 lac, which indicates that the value of each share if ₹100, whereas the report says that the shares are valued at ₹10 each. This error has been rectified in the later annual reports e.g. 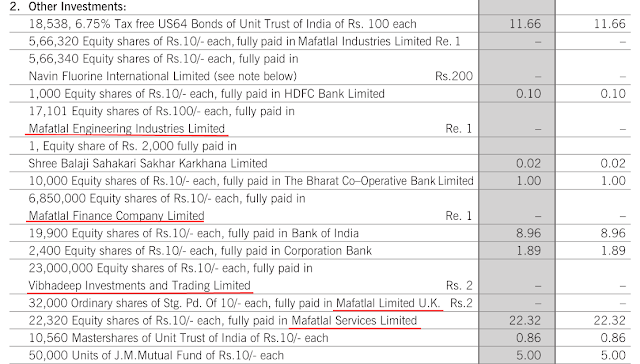 the screenshot of FY2010 annual report shared above, which states that the shares of Mafatlal Services Ltd are of value ₹100 each. Currently (Oct. 26, 2017), NOCIL Ltd is available at a price to earnings (P/E) ratio of about 24.5 based on trailing 12 months earnings, which does not offer any margin of safety in the purchase price as described by Benjamin Graham in his book The Intelligent Investor. Overall, NOCIL Ltd seems to be a company, which has been growing at a moderate pace in a very challenging business environment characterized by intense competition led by low priced imports from China & Korea to the extent of sales below the price of production (dumping). The intense competition along with dumping by overseas suppliers has taken the pricing power away from the company and as a result, it has to suffer declining profit margins when raw material prices increase but has to pass on the benefits when raw material prices decline. The intense competition seems to have impacted the receivables days of the company where it has to give higher credit period to customers. However, despite these challenges, NOCIL Ltd has been able to demonstrate a strong cash position over the years, where it could meet all the operational and capital expenditure from internal accruals and could reduce debt and declare dividends over the years and still create a healthy cash balance, which can be used for future growth plans. The healthy cash flow position has been acknowledged by the credit rating agency in terms of frequent rating upgrades and by the stock market by an increase in its stock price. NOCIL Ltd has been growing its sales volumes steadily over the years and has been creating new capacities along the growth path. It has installed the Dahej plant using its in-house technology and has been able to demonstrate good project execution skills by completing the project within initial cost estimates despite delays. 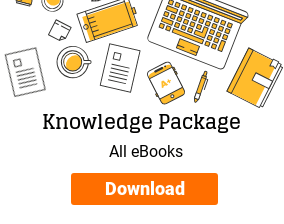 However, it would require additional assessment by the investors to ascertain whether the in-house technology is efficient enough in term of the asset turnover on the investment done by the company. 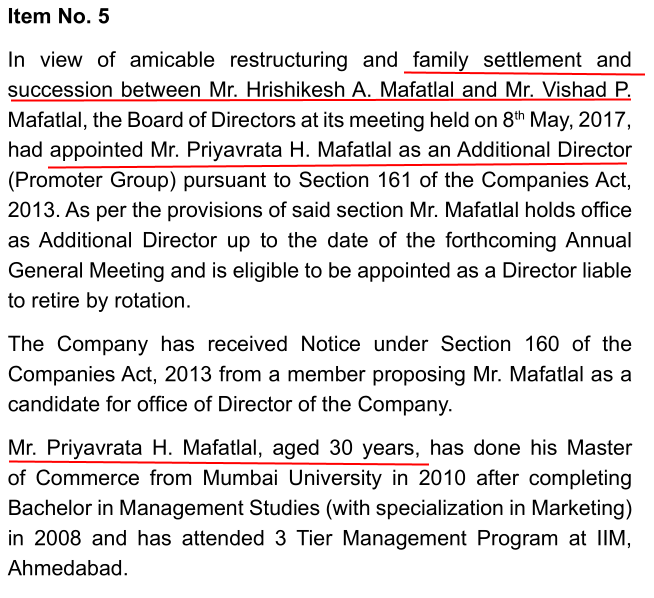 The promoter family of the Arvind Mafatlal group has undergone a business restructuring exercise and as a result, it seems that NOCIL Ltd is on the path of a smooth management succession with the son of the promoter joining the board of the company at an early age providing sufficient time for proper grooming. Certain decisions of the management like continuous significant levels of pledging of promoter’s shareholding, reversal of revaluation of assets and the investments in the group companies, which were later on written off without providing sufficient details in the annual report highlight the issues where investors should further assessment to arrive at any final investment decision. Going ahead, it is advised that investors should keep a close watch on the competitive intensity, dumping, operating profit margins, receivables days and the pledging levels by promoters to monitor the future performance of the company. These are our views about NOCIL Ltd. However, investors should do their own analysis before taking any investment related decision about NOCIL Ltd.